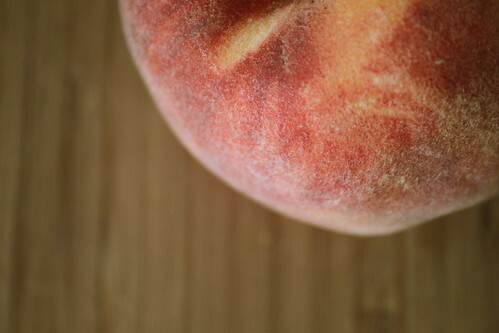 This post is going to be a little love-letter to some of my favorite things. Things that are so pretty you can’t help but smile when you see them. 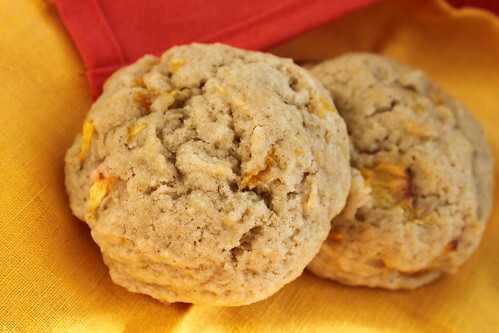 Things that are sweet and buttery and lemony. Things that make you feel accomplished and fabulous and put a grin on your face for the rest of the day. 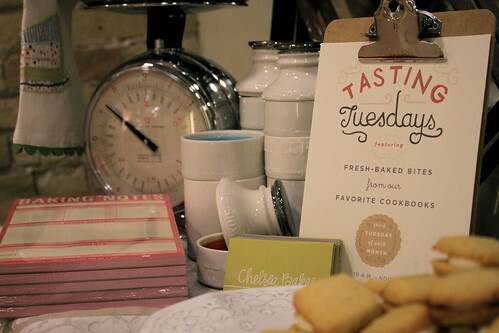 These things all describe today’s first Tasting Tuesdays event at the Milwaukee Anthropologie, which I’ve been looking forward to for months. 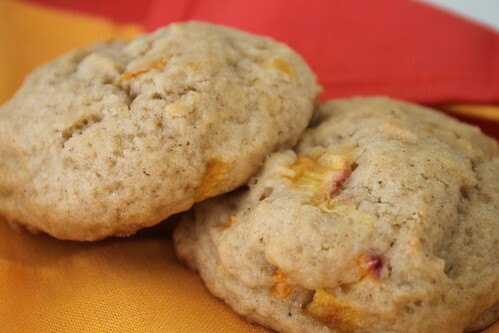 Until now I have been pawning off my baked goods on unsuspecting friends who–while I think they like it–might be a little sick of being stuffed full of butter, sugar, and flour every weekend. 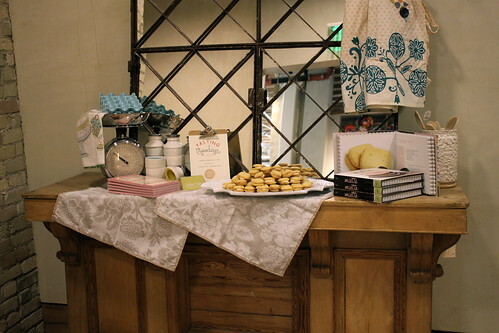 So I was thrilled when the opportunity to bake for my local Anthropologie once a month popped up. Not to gush too much about how much I like that store, but their aesthetic is beautiful and I love that they wanted to work with a local blogger. Everything in that store really does make me smile (part 1 of this little love-letter). 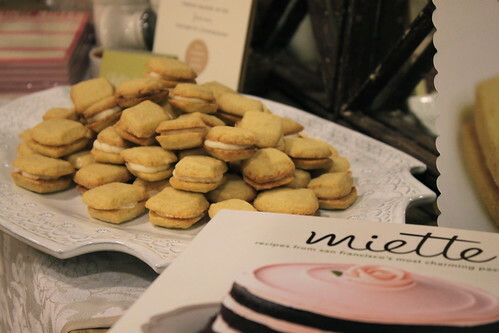 I was also pumped when I found out Anthropologie carried the beautiful Miette cookbook, from which I’ve been wanting to bake ever since it came out this summer. 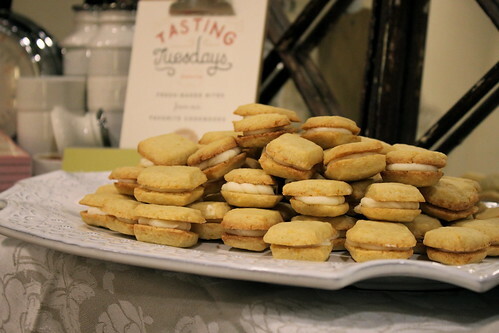 These simple lemon shortbread cookies, just a little bit fussy but completely worth the extra work, have a kick of lemon zest and are so buttery they melt in your mouth. It was so wonderful to be able to share these with all the customers, friends, and store staff who came in this morning. (Part 3 of my love-letter: feeling totally flattered and happy for the rest of the day.) Thanks so much to everyone at Anthro, especially Jane, who created the ridiculously lovely display you see in these photographs, and Shannon and Kim too! Remember how I was excited for fall in my last post? Well, this weekend I was cleaning out all my digital photos and I came across views out of my window where the streets are slushy, the trees exhausted and drooping under inches of snow, the sky a dull grey, and the light in my apartment frosty blue. Um. About that. I’m not rescinding my excitement about fall, exactly, but I think my enthusiasm needs to be dampened. I’m not ready to lose the warm summer sunlight yet. 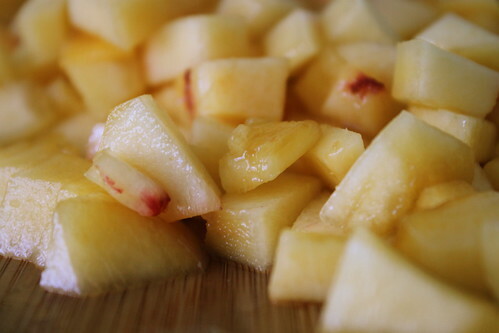 I want to keep the fresh fruit and red tomatoes and bright green grass and leaves on the trees. I am not ready for the endless string of grey days where I’m stuck wearing a gigantic marshmallow sleeping bag coat, navigating patches of black ice to get to work. 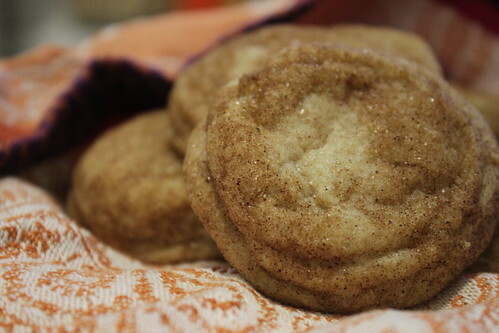 So I made these transitional cookies. Let’s make some fashion metaphors. They are the windbreaker of your youth… the flats instead of flip-flops… the light, breezy scarf. They are bright sunny days of fall, ready for spices but holding onto fresh fruit. 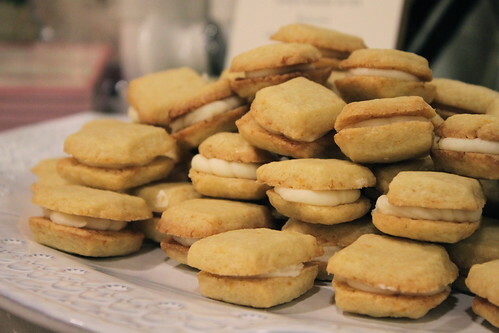 And I don’t know how I managed to do this, but these big, soft, cakey cookies taste like peaches and cream popsicles. I’m not kidding. It’s like a popsicle without the melting or the leftover stick–only the warmth of cardamom combined the fresh fruit popsicle flavor of summer. But there is something about the first chilly week of fall. Even though fall is currently in the running for shortest season ever in Wisconsin (it’s neck and neck with spring), I still love it. I love not wearing a coat but wearing a sweater, wearing boots but not snow boots. 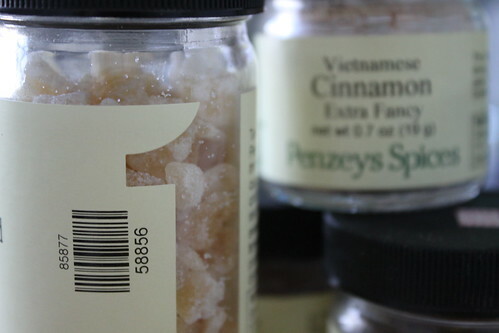 I love baking with spices and especially baking with cinnamon. I love telling myself I’m going to go to eight apple orchards and live off of nothing but apples, applesauce, apple pie and cinnamon even though I never can get it together to actually go. 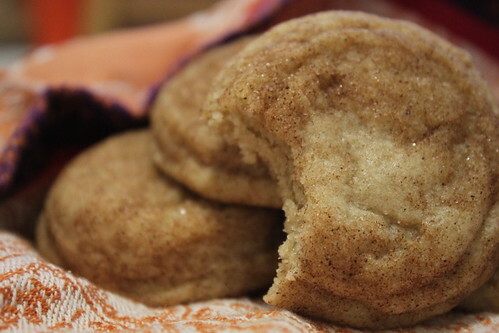 And did I mention I love cinnamon? Because I’m pretty sure that that is the primary reason why I love cold weather. But tonight, even though it is not an optimal time to bake, even though I have a ridiculous amount of food in the fridge, I baked. After all, it is fall. And I wanted something spicy and cinnamony and warm. 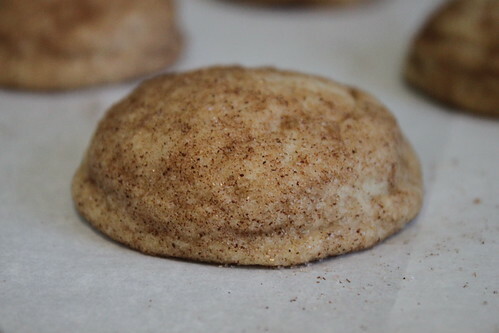 And snickerdoodles were it. Fluffy and soft and accidentally-but-not-disastrously undercooked. I also did something a little crazy to them. 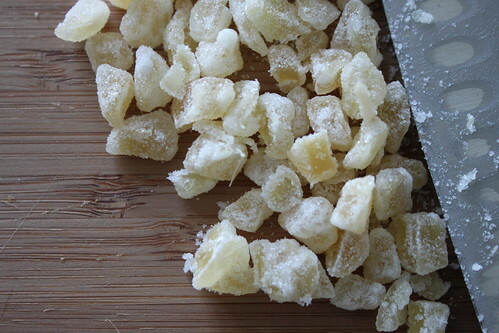 I chopped up crystallized ginger and snuck them in the dough. That was a good decision. It’s not overwhelming, but adds a zing and a little more chewiness. 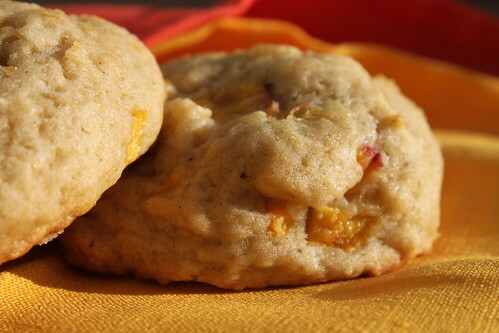 A good fall celebration all in one little pillow of a cookie. 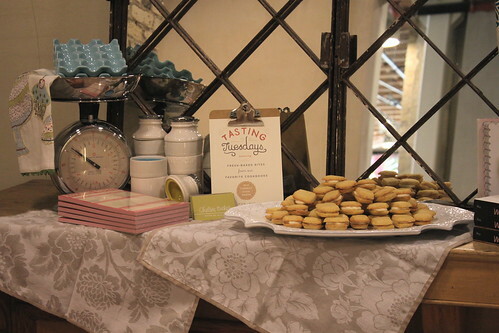 I’m thrilled to announce that I’m baking once a month for my local Anthropologie store in Milwaukee, WI! 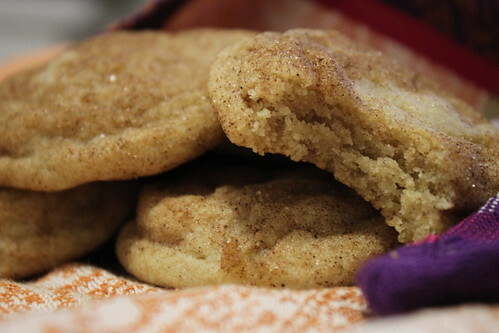 Every month, I’ll bake a recipe from a cookbook sold at Anthropologie. The treats will be on display for you to try–that’s right: goodies from my blog not on your computer screen, but actually in your stomach. Yum. And I’ll be there, too, of course, camera in hand! 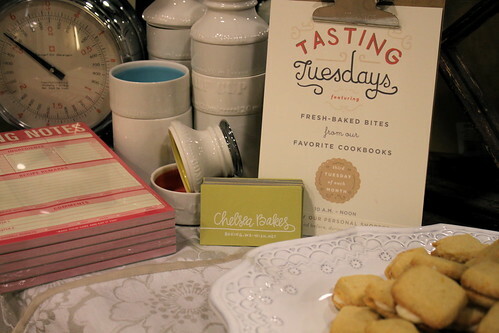 The featured recipe and photos of the event will be posted here afterwards. The first one is September 20 at 10 AM and I’ll be baking from the Miette cookbook. RSVP on Facebook right here. I would LOVE to meet you and have you try my baking in person, so please come! And, if you’re feeling really social (har, har), feel free to “like” this blog on Facebook for instant updates, or follow me on Twitter for musings on baking and other things I love.